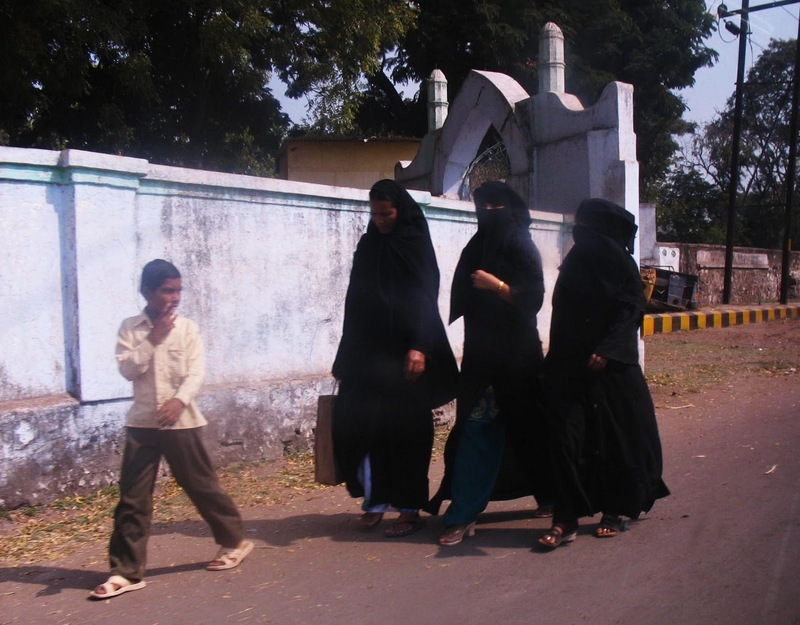 These are some photographs of Muslim women in bukhas. The first picture is of a group of burkha clad women in a busy market in Hyderabad. 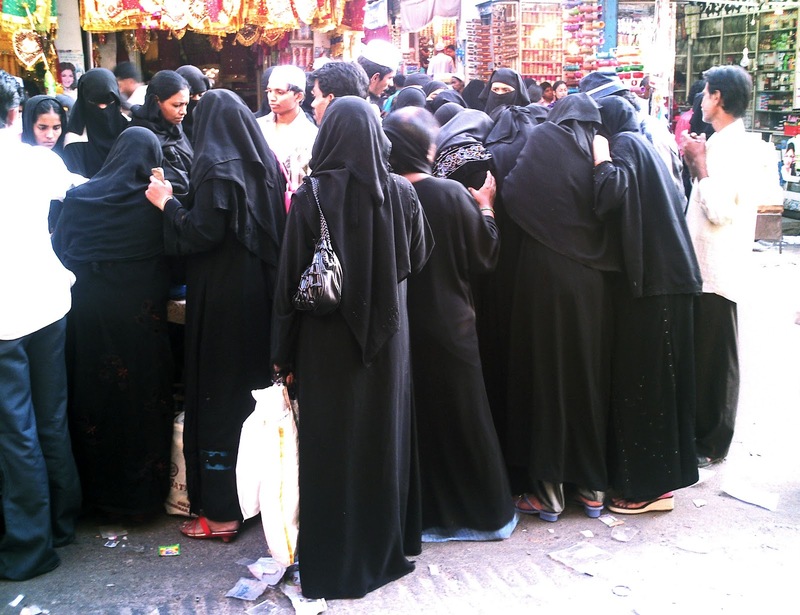 Burkas are common in that city. 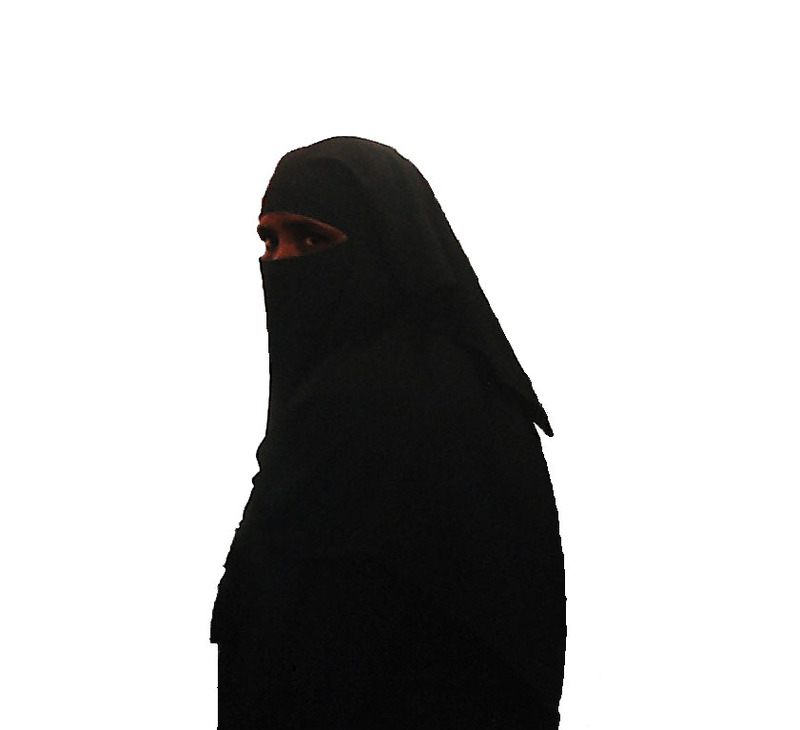 The image below is a cut-out of one of the women in the photograph above. It's similar to a silhouette because of the black attire. The picture below is my favourite in terms of composition. The day was bright and there was some reflection though. 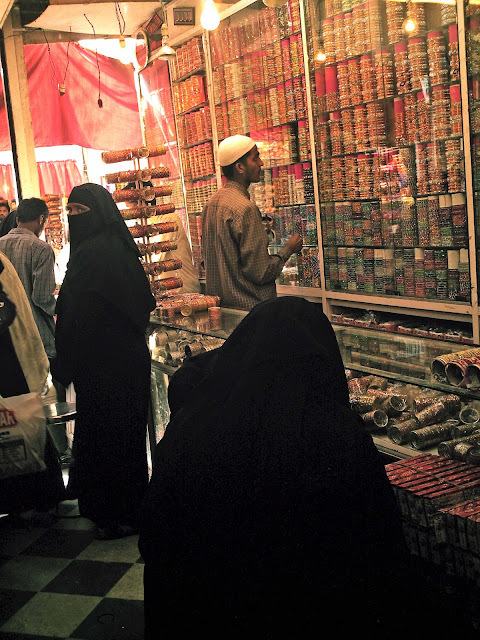 Three busy women walking briskly on the city streets, probably on the day's errands. A small boy walks in front of them. 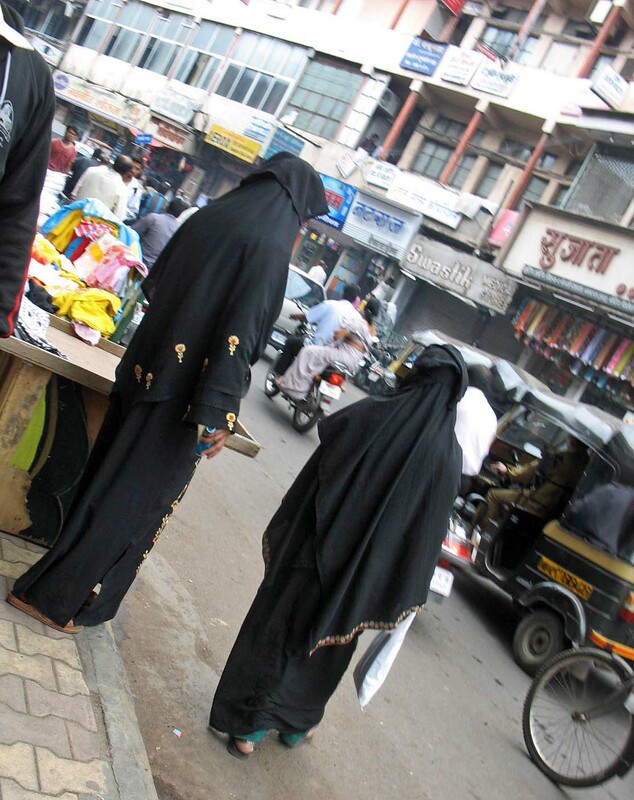 The two women in the picture below are walking on Laxmi road in Pune.